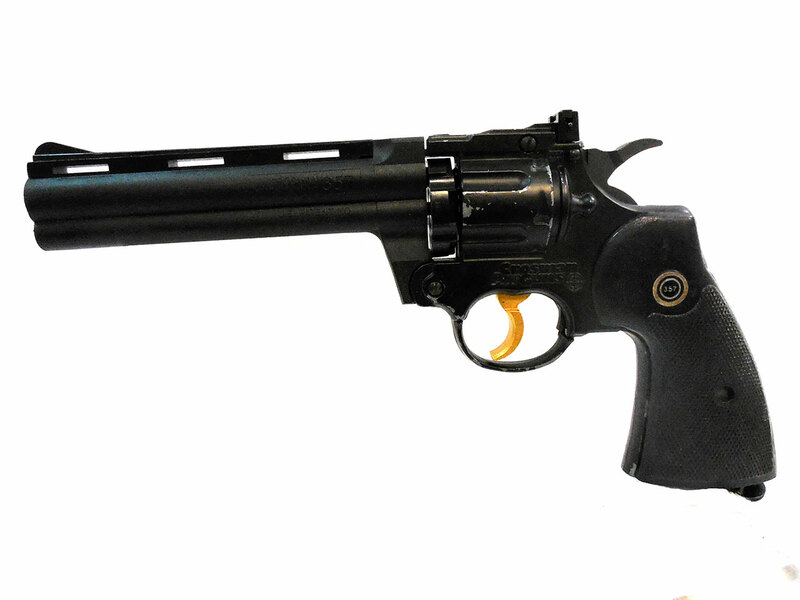 The Crosman Model 257 SIX is a single/double action .177 caliber CO2 revolver that is a replica of the Colt Python firearm. 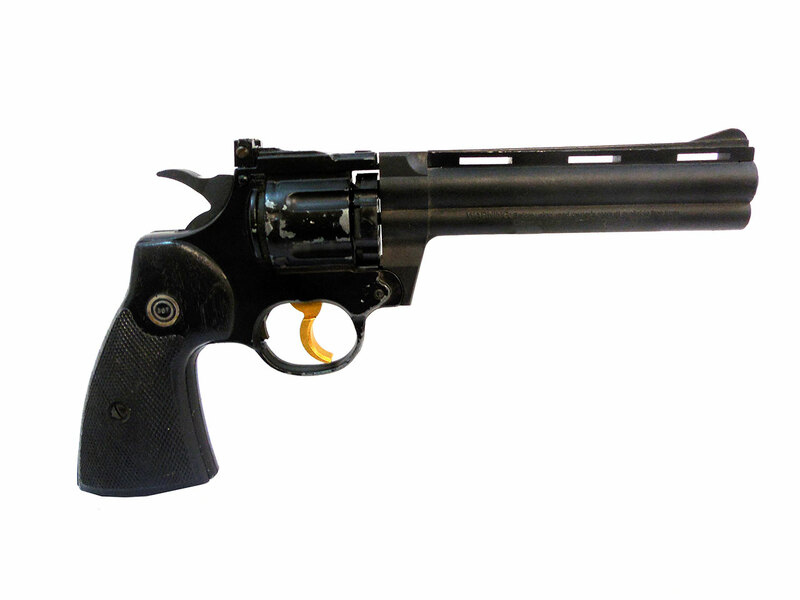 This pistol has a 6″ barrel, a six-shot rotary clip, and it can hold one CO2 powerlet. 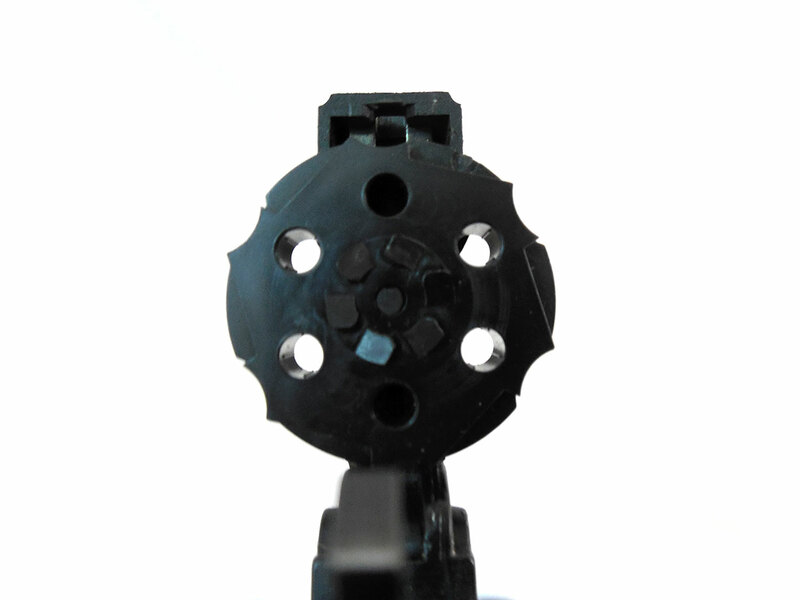 This revolver does not work, and it may not have all of its original parts. 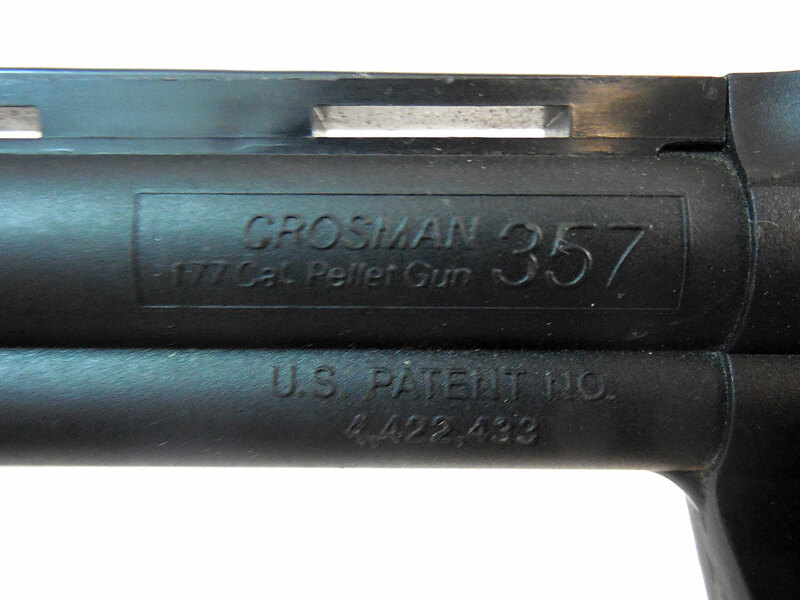 This gun has about 80% of its original finish and its black plastic grips are in good condition.